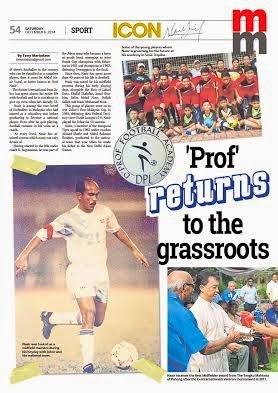 If there is complete footballer in the country, it must be Abdul Nasir Yusof or better known at ‘Prof Nasir’. The former international who hails from Johor has spent almost his entire life with football and he is not about to give up at his late age of 53. Nasir is among the rare breed of footballers in Malaysia who had started as a schoolboy star to graduate from one step to another to become a national player and then when he quit, he continued as a coach. And at each level Nasir has acquired success which many can only dream of. Having from the 80s era when under coach K. Sugumaran, Johor became a force at the youth level emerging joint Razak Cup champions with Kelantan in 1981 and champion in 1982 defeating Terengganu, Nasir logged in more than 40 years of life to football. Nasir, who was already noted for his midfield prowess from his early playing days playing with the likes Lahad Datu, Khalid Shahdan, Ismal Ibrahim, Salim Mohd Noor, Dollah Salleh and Nasir Mohamad Noor. These group of players went on to win Johor’s first Malaysia Cup in 1985 defeating then Federal Territory (now Kuala Lumpur 2-0). Nasir played for Johor for 15 seasons. 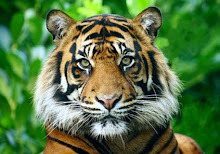 Nasir, a member of the first Tiger squad in 1982 under coaches by Ahmad Shafie and Abdul Rahman Ibrahim, graduated to the national team the same year making his debut in the New Delhi Asian Games. Nasir also had the honour of playing alongside legendary George Best when he appeared as a guest player for the Tiger’s team against the national team. Kevin Keegan had also played as a guest player for the Tiger’s team in the Merdeka tournament in 1984, but Nasir was already playing for the national team coached by the late Englishman Frank Lord. Nasir capped 76 international caps before he quit in 1994 after playing in Pre-Asian Cup tournament. Nasir who comes from a family 15 siblings was the apple of his late father Haji Mohamad Yusof, who played for Johor in 1938 and 1939 and left disillusioned because some of the bad habits that came with the game which saw players indulging in drinking and smoking. 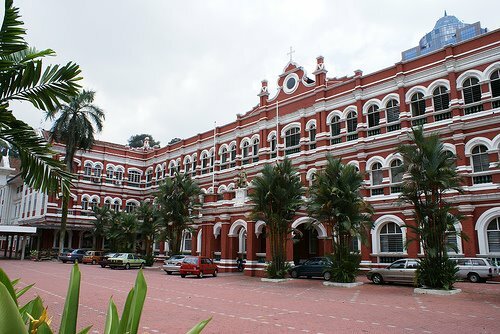 But that did not stop the headmaster of Lembaga Kemajuan Tanah School in Tebrau in 1967 from encouraging his children to take up the game when he formed the school team with six of his sons and Nasir was only seven. While Nasir went all the way don national colours and make football his way of life, his younger sister Samiaza had played for the state and national women’s team, while his brothers Taibah played for Johor in 1984-85 and Nor Hakim and Nor Halim (1986-1987). 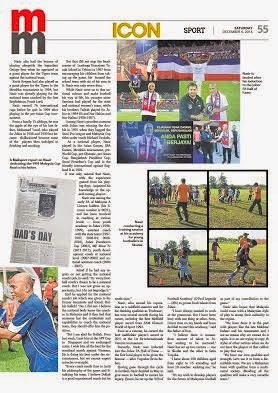 Among Nasir’s proudest moment with Johor include winning the double title in 1991 when they bagged the Semi-Pro League and Malaysia Cup title under coach Michael Urukalo. As a national player, Nasir played in the Asian Games, Sea Games, Merdeka tournament, pre-World Cup, pre-Olympic, pre-Asian Cup, Bangladesh President Cup, Seoul President’s Cup and the 1991 Malaysia versus England friendly international match in June 1991. With football in his blood, it was only natural that Nasir with all his experience gained from his playing days and known for his brains for the game, he imparted his knowledge to the up and coming players. Nasir being among the early FA of Malaysia A Licence holders (his licence number is 0021), has been involved in coaching at various levels – from youth academy in Johor (1998-1999), assistant coach with Johor State team (1997-1997; 2003-04; 2008-2010), Johor President’s Cup (2002), MP Muar Fc (2011-2012) youth development coach at national level (2007-2008) and national assistant coach (2004 – 2007). Asked if he had applied for the national coach job recently which was given to his teammate and friend, Dollah, he said: “No I did not. I believe that the national body know the coaches in Malaysia and if they feel that someone has the credentials and capabilities to coach the national team, they should offer him the position. 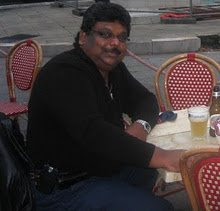 “But I am glad for Dollah and even last week him in Singapore and we met and exchanged some notes. I wish him all the best for the semifinal match against Vietnam. He is doing his best under the circumstances, but we cannot expect overnight miracles. Nasir who has earned the reputation as a midfield maestro and for his thinking qualities as ‘Professor’ has won several awards during his career which includes the Best Midfield player award from SAM Glamoir World of Sport 1992 and even in his veteran days, he earned the best midfielder player’s award in 2011 at the 1st Ex-Internationals Veteran Football tournament. And more recently, Nasir was inducted to the Johor FA Hall of Fame – the first local player to be given the honour – after Yugoslav Ervin Boban was inducted earlier. Having gone through the cycle in football, Nasir in May decided that he wants to give more to football and this time which remains a legacy. Nasir, has setup the ‘D’Prof Football Academy’ (D’Prof Legends – DPL) to groom fresh talent from the state of Johor. “I have always wanted to work at grassroots and develop players. But I have been busy with one thing or other. But now finally, I have time on my hand and have decided that I start this academy,” said the father of four. 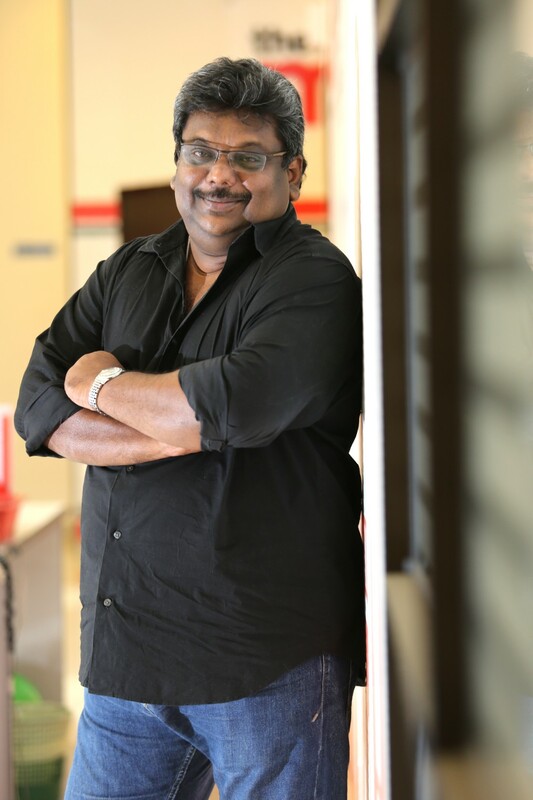 Nasir has setup two centres - one in Skudai and the other in Setia Tropika. “I have about 100 children aged from eight to 15 attending and have ten coaches who are assisting me. Nasir also hopes that Malaysia will soon come with a Malaysian style of play to stamp their authority. “We have done it in the past with players like the late Mokhtar Dahari and his teammates and I see no reason why we cannot do it again. It is no use trying to copy styles of other nations when we do not have the players of that calibre to play that way. While Nasir dreams on to see the day Malaysian football will be branding their very style of play, he is contended with a full life from football as he returns to continue do his small part to keep on contributing to Malaysian football.